Dr Arthur Aslanyan graduated from Kazan State University in 1993 and did Ph.D. in Mathematical Physics in 1996. 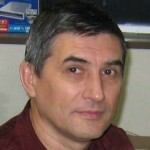 He worked at Kazan State University until 2004. 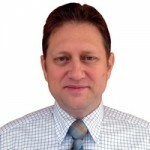 His scope of interest lies in investigating physical processes and building the corresponding mathematical and computer models around reservoir depletion.He joined TGT Oil&Gas Services (Russia) in 1998 and was mostly involved in reservoir study and simulations. Dr Irina Aslanyan graduated from Kazan State University in 1992 and did Ph.D. in Molecular Physics in 1998. She worked at Kazan State University until 2004. Her scope of interest lies in reservoir study and various primary and production logging interpretation. She joined TGT Oil&Gas Services (Russia) in 1998 and was mostly involved in reservoir study and field development planning. Since 2004 she works as a Head of the Reservoir Study Department in TGT Oman. 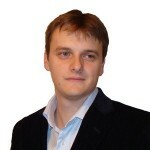 Dr Andrey Arbuzov is a Head of Research and Development Department at the TGT Technology Centre located in Kazan. He gained Ph.D. in Physical and Mathematical Sciences at Kazan State University in 2009. Since 2006 he has published fourteen scientific articles. 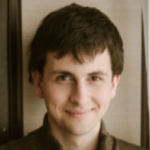 Andrey’ experience includes seven years (more than 400 hours) of teaching Theoretical Physics and Corrosion Logging in such countries as UAE, Malaysia, Saudi Arabia, Oman, Kuwait and Russia. 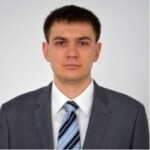 Prof. Andrey Salamatin is a Scientific Consultant at the Department of Numerical Flow Simulations of the TGT Technology Centre located in Kazan and a Professor of the Department of Applied Mathematics at Kazan (Volga Region) Federal University. He graduated from Kazan State University (College of Mechanics and Mathematics) in 1970 and gained the degree of Doctor of Science in Physics and Mathematics in 1989. Since 1970, continuously teaching at the College of Computational Mathematics and Informational Technologies, he has published 5 monographs and more than 200 papers. His present-day responsibilities are development of simulators (models and computational algorithms) for modeling thermo-hydrodynamic processes in well/reservoir systems and well-logging data interpretation. 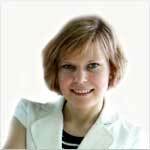 Dr Yulia Maslennikova is a Mathematician working as part of the Spectral Noise Logging Team in the R&D Department at TGT Technology Centre located in Kazan. She graduated from Kazan State University in 2010 and gained Ph.D. in Physical and Mathematical Sciences in 2013. Her thesis was about new methods of time series prediction using artificial neural networks. 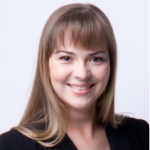 Yulia has presented the results of her research at numerous international conferences and workshops in Dubai, Abu Dhabi, New Orleans, Barcelona, Moscow etc. She has published more than 10 scientific articles. Yulia`s responsibilities include preparing and editing training materials related to Well Completion Integrity and Reservoir Flow Analysis. Dr Andrey Achkeev graduated from Kazan State University in 2008 and gained Ph.D. in Physics of Magnetic Phenomena in 2013. His scope of interests lies in corrosion logging and he is mostly involved in developing Magnetic Imaging Defectoscopy technologies. Since 2014 he has been a Team Leader in the MID Department. Andrey reads lectures on physical principles of Magnetic Impulse Defectoscopy. 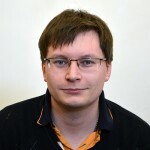 Dr Alexander Frolov is a Mathematician at the TGT Technology Centre located in Kazan. He gained Ph.D. in Mathematical Modelling, Numerical Methods and Complexes of Programs at Kazan Federal University in 2012. He worked at Kazan Federal University until 2013. His scope of interest lies in development of software for modelling thermo-hydrodynamic processes in well/reservoir systems and well-logging data interpreatation. He joined TGT Oil&Gas Services (Russia) in 2012. 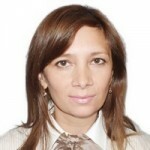 Yulia Fesina is a Senior Analyst at the TGT Technology Centre located in Kazan. Her scope of interest lies in production logging interpretation, particularly in temperature modelling. 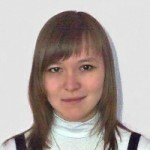 Yulia joined TGT Oil&Gas Services (Russia) in 2010. Her experience includes 3 years (more than 400 hours) of teaching Temperature Modelling of injection and production wells. Yulia has also participated in workshops and conferences held in Russia and the Arabian Gulf countries. Albina Ishmukhametova works as a Data Processing Engineer in the Magnetic Imaging Defectoscopy Project in the R&D Department at the TGT Technology Centre located in Kazan.. She graduated from Kazan (Volga Region) Federal University in June 2013 and gained a diploma with honours in Radiophysics. As a part of the research, she delt with development of new algorithms for statistical data processing, in particular, exponential signals. She creates and edits materials concerning well integrity (Magnetic Imaging Defectoscopy). 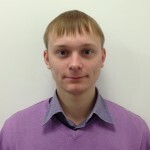 Timur Iskhakov is a Software Developer of the R&D Department at the TGT Technology Centre located in Kazan. His responsibilities are SNL software development and experimental data processing. He graduated from Kazan (Volga Region) Federal University (College of Mechanics and Mathematics) in 2013 and gained a diploma with honours in Mathematics. His thesis concerned the noise generating mechanism of the immersed jet. Timur teaches Mathematics, Elementary Algebra, Plane Geometry, Solid Geometry, Theory of Elementary Functions and Elements of Analysis at Innopolis STEM-Сentre. He reads lectures on SNL Physics and LAB Tests, SNL Data Processing, Leak Detection and SNL Plug-in at Prime College.